Looking for MORE ADVENTURE to add to your recROC visit? Our recROC parent recreation facility for the region is just a mile or so south of recROC, in the heart of Lititz. Spacious, state-of-the-art gymnasiums, fitness center and studios, two indoor pools, and zones designed just for fun are open to Members year-round, and guests with the purchase of a day pass. Programs for all ages in all seasons give great options for staying healthy and active together, as a family and a community! 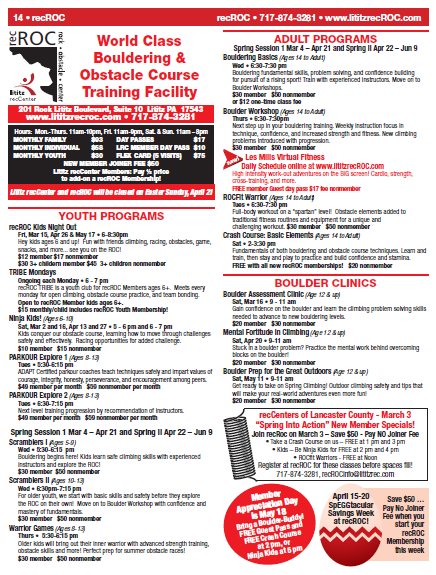 Bike rentals, repairs, and fitting – and a brand new Cyclocross Course! Bikeworks is our next-door-neighbor at Pod 2. Exclusive access to the Rock Lititz Campus, just across the street! Reserve a recROC package to book a Hotel stay and work adventure or unique fitness opportunities into your time spent in Lititz. If your sense of adventure includes treasure hunting and cruising for cuisine, the shoppes, pubs, and eateries of downtown Lititz will satisfy your urge to splurge! Seasonal street and park events add extra entertainment. 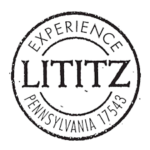 Check calendars for stay & play options to visit Lititz all day or all week.